Dril-Quip has established and maintains locations and representatives throughout the world. For organizational purposes, Dril-Quip’s global operations are divided into three regions: the Western Hemisphere, Eastern Hemisphere and Asia Pacific regions, with major manufacturing facilities strategically located in each area. The facilities at each location conduct a broad variety of processes, including machining, fabrication, inspection, assembly and testing. The facilities have the capability to manufacture various products from each of the Company’s product lines. This localized manufacturing capability enables Dril-Quip to respond quickly and economically to the needs of its customers. In addition to its major manufacturing facilities Dril-Quip maintains a global network of sales and service locations with company representatives in every hemisphere to better provide services and support to our customers in a timely manner where ever they may need us. Browse our locations by hemisphere to the left, browse below for details of Dril-Quip's largest facilities, download Dril-Quip Facilities Catalog, or you can view a comprehensive, printer-friendly list of All Dril-Quip Locations. The Dril-Quip World Headquarters, in Houston, Texas, serves the Western Hemisphere with Administrative, Sales, Engineering, Research and Development, Forge and Heat Treat, Fabrication, Finished Machining, Assembly and Testing facilities and capabilities. 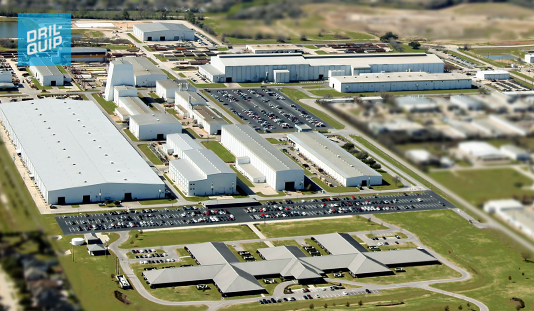 The Houston facility is also home to the Riser, Subsea Control Systems, and Liner Hanger buildings as well as After-Market Services. Dril-Quip’s European Headquarters is located in the town of Dyce, a suburb of Aberdeen, Scotland. 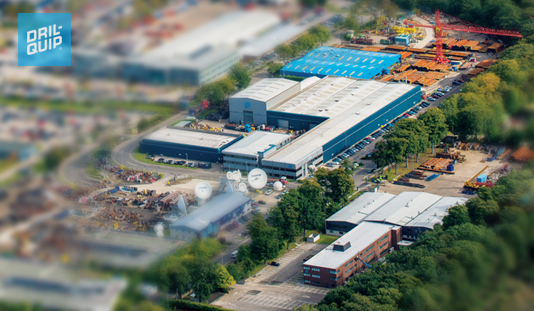 Along with its eight satellite facilities it oversees operations throughout Europe and Africa and serves the Eastern Hemisphere with Administrative, Sales, Engineering, Fabrication, Finished Machining, Assembly, Testing and Coating facilities and capabilities as well as the Manufacturing of Subsea Control products. Asia Pacific Pte Ltd.(DQAP) is located in Singapore and serves as the headquarters for Dril-Quip's Asia Pacific administrative region. With greatly expanded manufacturing capabilities, this centrally located facility now gives Dril-Quip the ability to engineer and manufacture essentially all of the Company’s product line to better serve this important and rapidly expanding market. Dril-Quip do Brasil is located in Macaé, Brazil and serves as Dril-Quip's base of operations for Latin America. This recently expanded facility has Administrative, Finish Machining, Assembly and Testing, Fabrication and Pipe Shop Buildings as well as extensive warehouse space. The facility houses a full engineering department, field service personnel and sales staff to better serve this ever growing market.